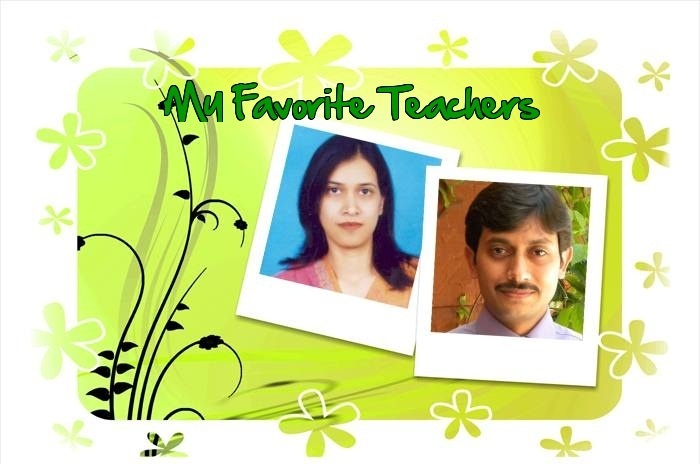 Today I am eager to share with you something about the brilliant teachers of my university's Department of Computing, my personal favorite Ms. Sana Khalique and Dr. Raihan Ur Rasool. Dr. Raihan is the Head of the Department of Computing. He holds a PhD in Computer Engineering from Wuhan University of Technology, China. His research interests include Grid and Cloud Computing. He lectured me the course on Parallel and Distributed Computing in a matter which developed my interest in the field. Ms. Sana Khalique is my all time favorite teacher. She taught me many courses starting from the 1st semester to the 6th. She taught Object Oriented Programming, Data Structures and Algorithms in a way that really helped a lot in my advanced courses. She is very friendly and full of information. She is on the team of SAGE (the Open Source Mathematics Software System) and an advocate of Open Source software. She made me learn the Python language and many interesting softwares. Her experience of academics and industry is reflected in her rich learning lecture sessions. Both teachers have made me learn a lot during my undergraduate degree. Its the effort of them which made me fond of the Computer Science field. NUST, the best.. Please rate my article 10/10 Nustians!